You guys these truly are the Easiest 3 Ingredient Microwave Caramels EVER! 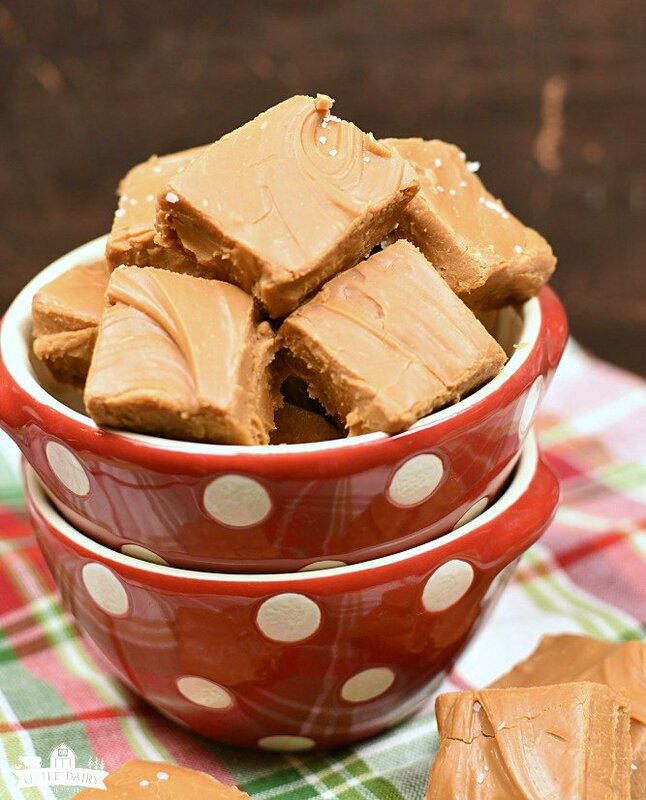 It takes one minute to cook these caramels in the microwave and three…that’s right, three ingredients! What’s even better than a one minute, three ingredient candy? You will never know 3 Ingredient Microwave Caramels are this easy to make because they are every bit as tasty as any other caramel! My husband LOVES caramels, like a lot! The only problem is that I don’t just love making candy that involves a candy thermometer! 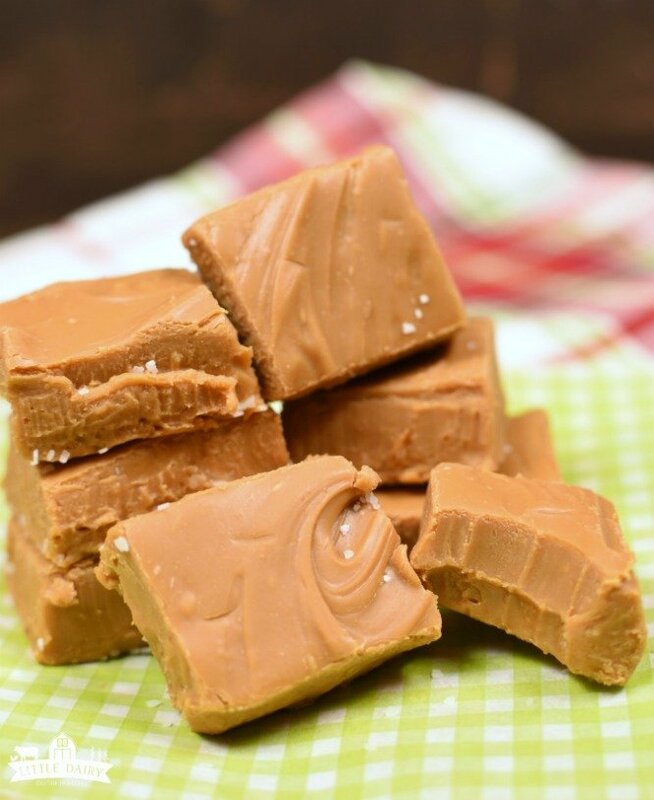 So I’m always on the hunt for a great caramel recipe that’s fast and easy to make. Heck, I just need a recipe so I can hurry up and make him caramels so I can say I’m a good wifey! A few years ago I started making Perfect Microwave Caramels and they are really, really delicious! They are everything a caramel should be without the fuss of stirring and watching and waiting for caramel to come to a boil, blah, blah, blah! This year I must be getting even lazier or busier or something. Let’s just say busier! That sounds better. 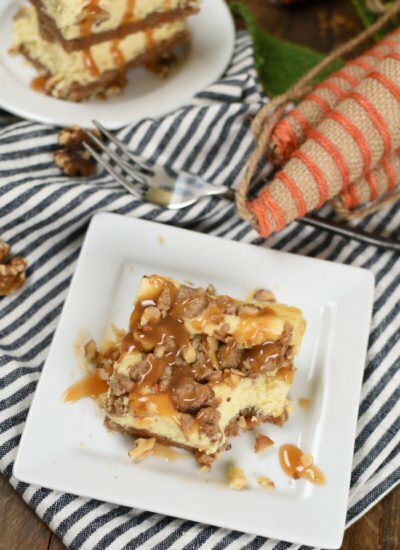 I wanted a caramel recipe that was even easier than my Microwave Caramels. I know…how does it get any easier than popping a few ingredients in the microwave right? The other day while I was riding the treadmill I came up with this idea to make caramels out of white chocolate chips, dulce de leche and vanilla. Boy was I on to something! My idea got even better when I realized all I need to do was pop these in the microwave for one minute! One measly minute! Then let them set while I go about my day, come back and cut the caramels into squares. Of course you can salt them if you want! Yum! 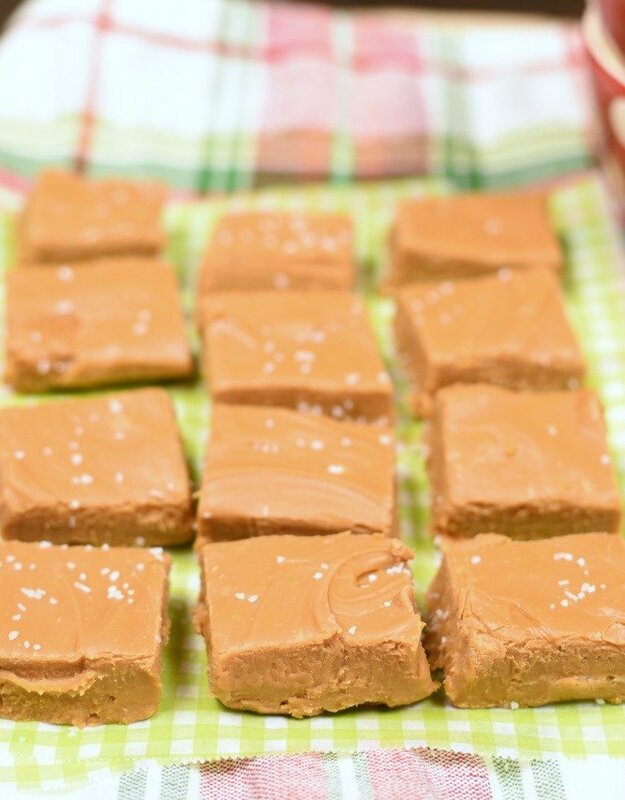 Watch my video to why these are the easiest 3 Ingredient Microwave Caramels ever! Seriously, my 4th grader could handle this! So if you have a bunch of presents stowed under a blanket in your room that need to be wrapped, you have laundry sitting in the dryer ready to be folded, a kid that needs help with algebra (why have I forgotten about all the inequality rules), your husband is begging you for caramels, and you actually just wish you had time to go to the bathroom…these Easiest Vanilla Caramels are exactly what you are looking for! Honestly the hardest part about this candy recipe was trying to decide what to name it. 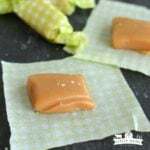 Easiest Vanilla Caramels, Easiest Microwave Caramels, 3 ingredient Caramels, No Candy Thermometer Needed Caramels, White Chocolate Caramels? Gosh, I just couldn’t decide! I guess Easiest 3 Ingredient Microwave Caramels it is! Long name…short recipe! Merry Christmas everyone! And for heaven’s sake make yourself some caramels to munch on before you start wrapping all those Christmas presents and trying to do math! 3 Ingredient Microwave Caramels take are the easiest candy in the world to make and they taste every bit as good as those candies that you have to babysit! They are creamy, rich, and smooth! Be sure to make room on your holiday tray for them! Line a 9 x 9 baking dish with wax paper or grease pan. 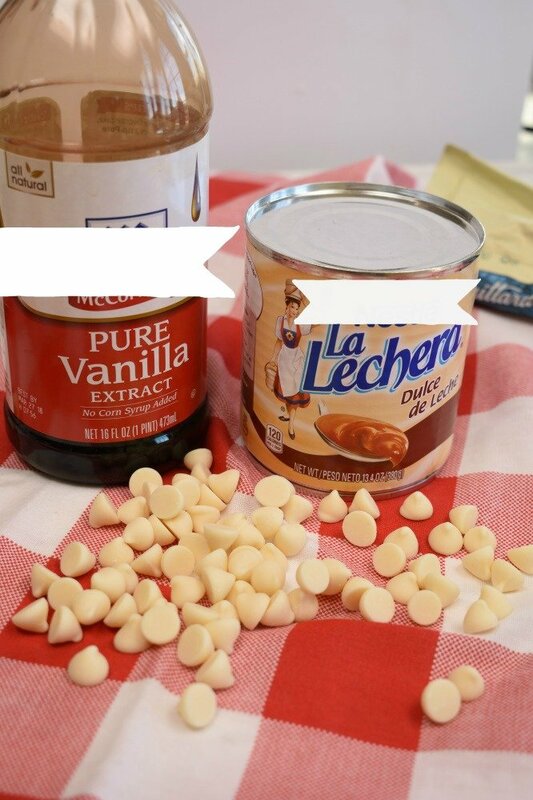 Add white chocolate chips and dulce de leche to a microwave safe mixing bowl. Stir to coat. Remove from microwave and stir until melted. If they chocolate chips aren’t completely melted you may need to microwave for 10 more seconds, then stir. Repeat until melted and smooth. Pour into prepared baking dish. Spread to edges. Let sit until firm. I put it in the fridge for about 3 hours. Cut into bite size pieces. Store leftovers in the fridge. Love your blog and videos!! Hi Dana! Thanks for stopping by! I’m kind of new at videoing and see much room for improvement! It’s fun though! 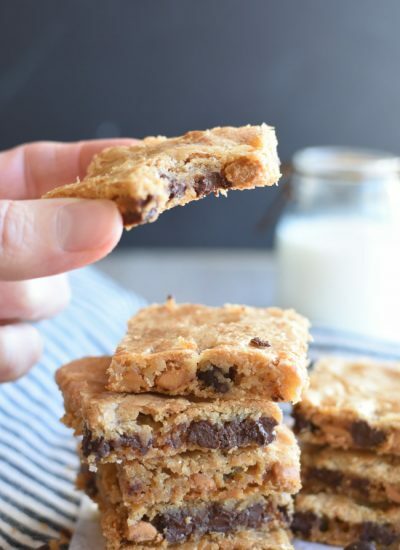 Yes, you can easily make these with semi sweet chocolate chips and it would be every bit as yummy! It would just be chocolate flavored instead of vanilla flavored! Let me know if you try it! It definitely doesn’t get any easier then that! Love that it only requires 3 ingredients and one minute. Great for a last minute Christmas treat! 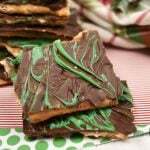 Christmas deserves at least a few really easy, yet yummy, treats! These are gorgeous! They look like fudge — do they have a fudgy texture? They do have a fudgy texture but they taste like caramels! So yummy! These would make for fantastic Christmas gifts, these! They look so yummy! I would be happy if someone brought them to me! Love the idea! These microwave caramels look amazing! 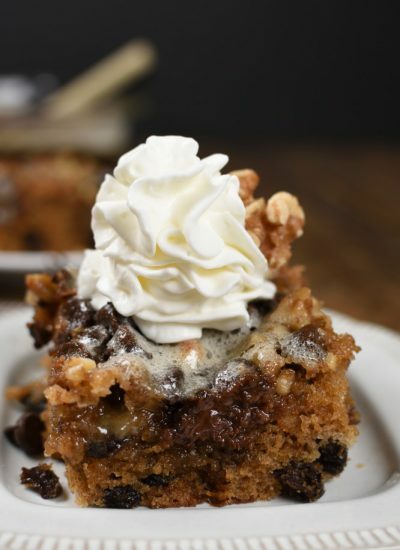 What a fun and tasty treat that’s just PERFECT for the holidays! Love it! I agree! 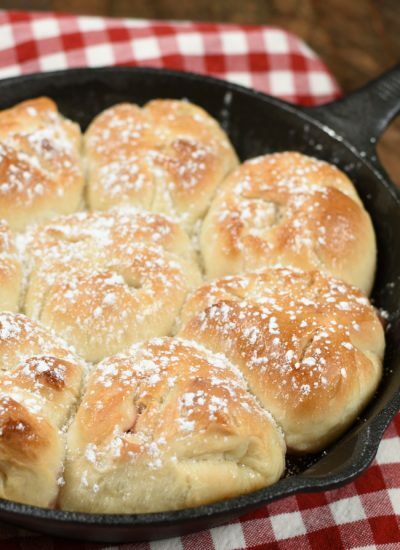 They are just the treat to add to holiday gatherings, neighbor plates, or for pretty much any reason! I love how easy this is! Such a delicious holiday treat! These are the easiest thing in the world to make! And so yummy! I’m definitely busier so this is perfect for me! They look incredible! Life has a way of getting out of control really fast doesn’t it! 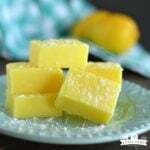 Definitely take some time, well only about 5 minutes, for yourself and make a batch of this candy! What an easy way to satisfy a craving! Just in time for the holidays! And don’t those cravings pop up consantly this time of the year! These are so wonderful. I love how easy they are to make! Thanks! Easy is the name of my game most days! 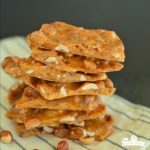 I love easy homemade candy, and these definitely fit the bill! Who has time for much more than this? Especially if you can have this with very little effort! I have a feeling he’s going to love them! Mine does! I love how easy these are to make! Homemade caramels are the best! Me too! Sometimes I don’t have time for more than this, and sometimes I don’t want to stand in the kitchen babysitting caramels all day. Now I can have caramels and the afternoon to myself to boot! These have to be the easiest caramels ever! They really are! And December deserves at least a few easy recipes right?